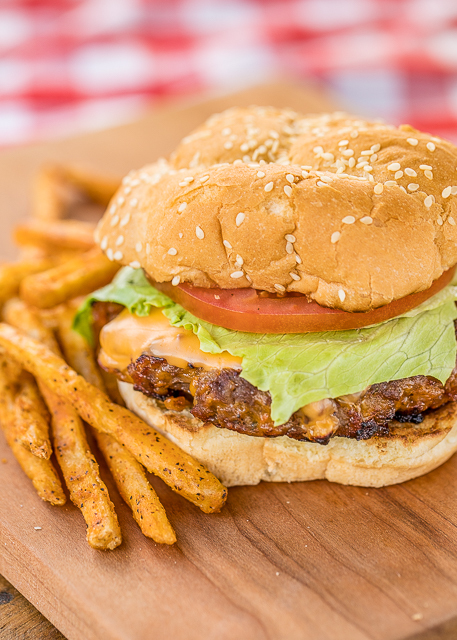 You are going to want to add these Smokehouse Burgers to your menu ASAP! Hamburgers loaded with cheese, bacon, ranch, bbq sauce and fried onions. 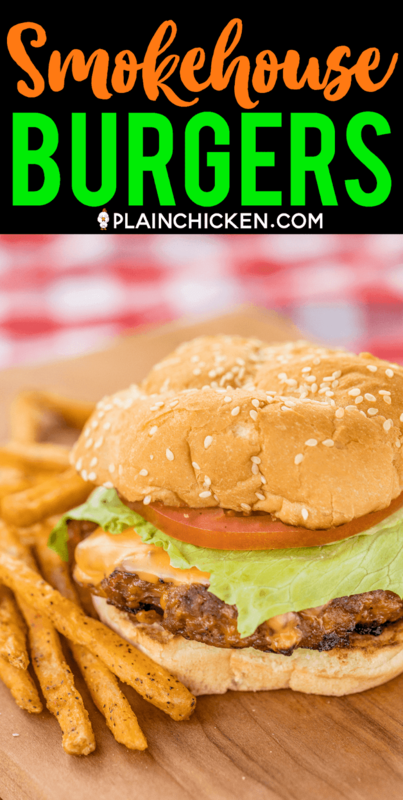 These might be the best burgers EVER! 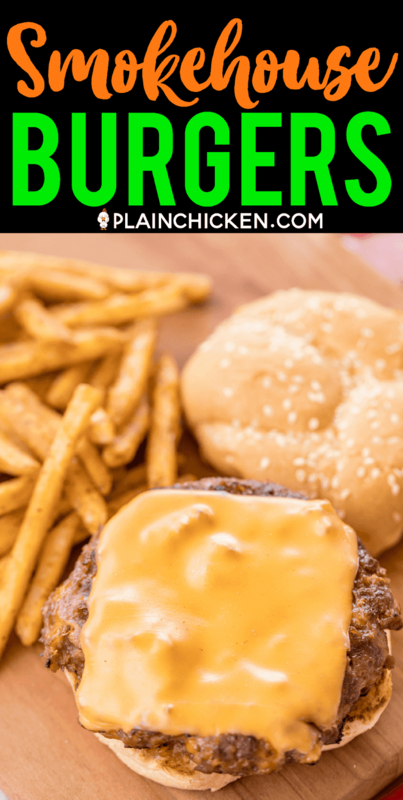 All of my favorites in one burger recipe. 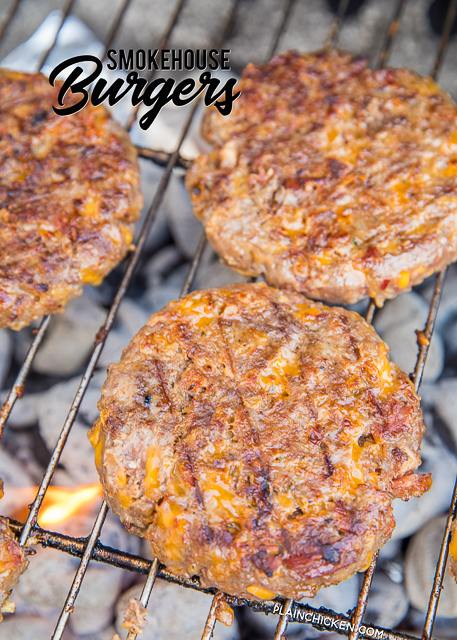 One thing I really love about these Smokehouse Burgers is the combination of ground beef and fresh pork sausage. 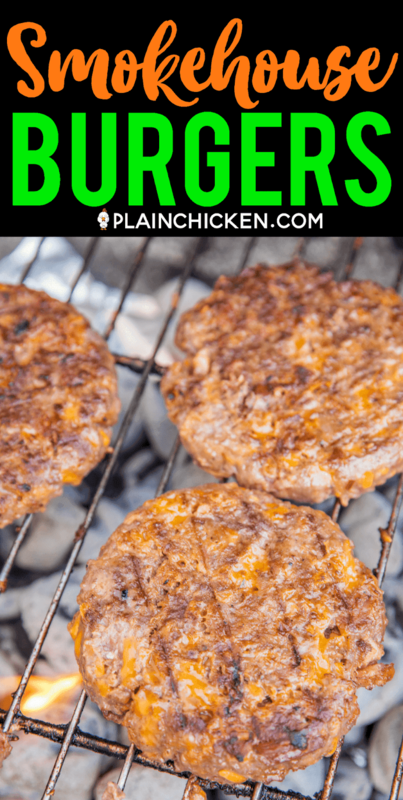 It really adds a lot of great flavor and helps keep the burgers from falling apart on the grill. 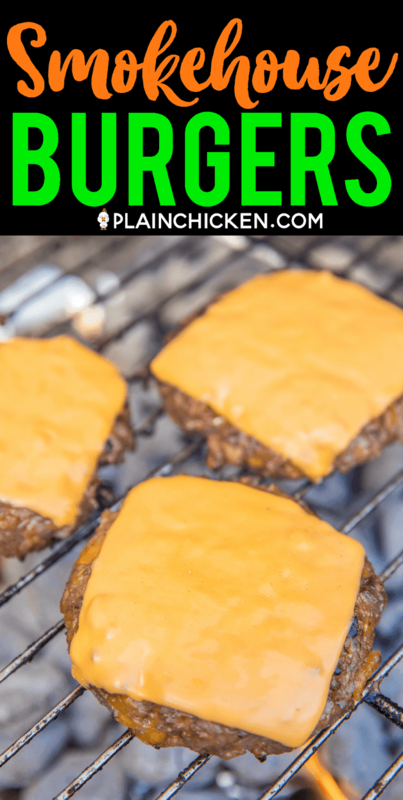 Even though the burgers have cheese mixed into the meat mixture, we topped the burgers with more cheese!! 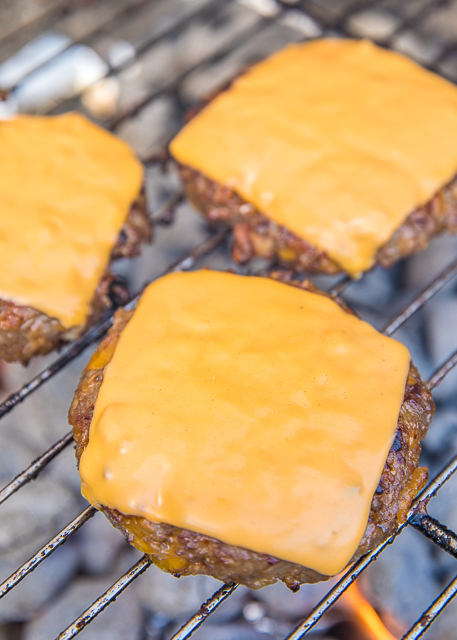 We almost always use American cheese because it melts beautifully. 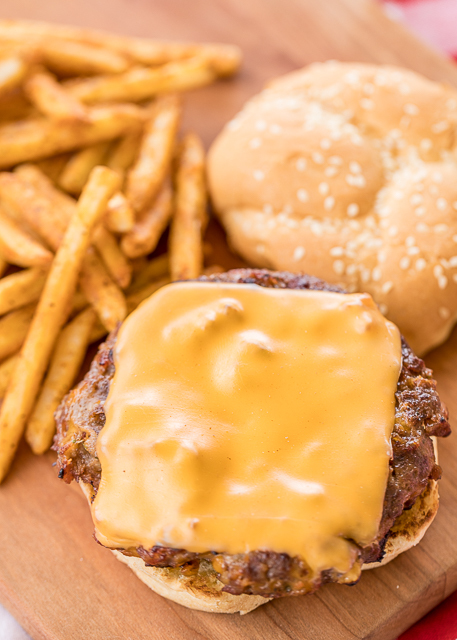 Top the burgers with your favorite toppings. Chicken Legs is a lettuce, tomato, mayo and mustard guy. I'm a cheese, ketchup and mustard gal. Go ahead and add some bacon too! I mean, you can never have too much bacon! AMIRIGHT?!?!?! Follow us on Pinterest for more recipe ideas! Mix together beef, sausage, onions, bacon, BBQ sauce, Ranch mix, and cheddar cheese. Divide into 6 equal patties (I use a kitchen scale for this). Grill to desired doneness. Top with American cheese, cook for a minute, until cheese is melted. Making these...AGAIN. Wow, what flavor. This time, asking hubby not to burn them on the grill. Having son and family over for supper. Cannot wait to eat them again. Thanks for the amazing recipe.